Product description: Just for the special person!! 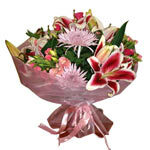 Red Roses symbolise Love.They go with each other. 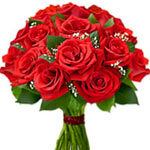 10 stems of red roses are a traditional gift for your loved one. 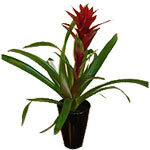 Guzmania are very showy bromeliads with large star shaped flower heads in vibrant shades of red and orange. 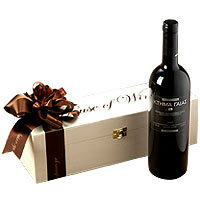 Settle for an unique gift for the most special person in your life and send him/her this Mesmerizing Gaia Estate Red Wine in Wooden Case that marks its superiority at the first sight itself. 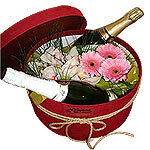 This rich Hamper holds One Bottle of Domaine Gaia Red - Rich Red Wine that arrives in a wooden Basket. 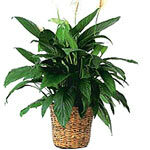 This ceramic dish is filled with various exotic plants. 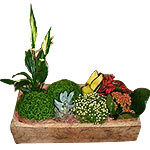 This “Garden of Grace” will be a beautiful reminder of your thoughtfulness.